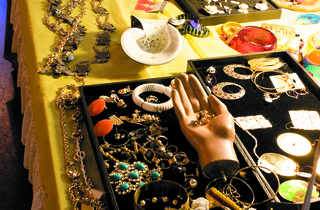 Tucked in a quiet subterranean space, this nearly hidden vintage treasure trove doesn’t clamor for the attention of passersbys. 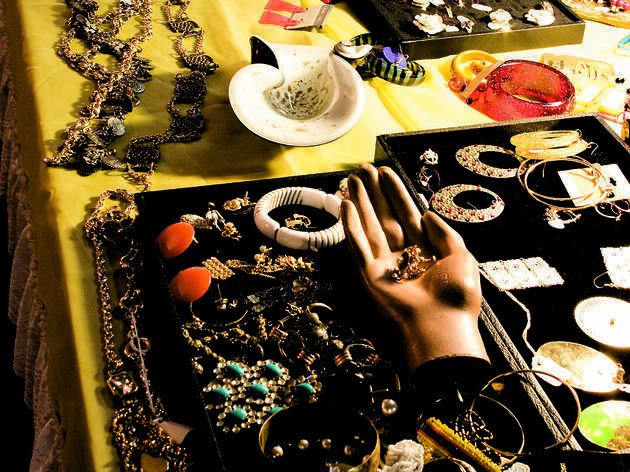 Those who do find their way in, however, are charmed by owner Carlos Pascoll’s cabinet of curiosities: jewelry cases full of plastic clip-on earrings, brooches, necklaces and bangles, and old goodies, such as a vintage Singer sewing machine ($150) and accordion cameras ($95–$110). 1834 W North Ave (773-252-4559, chicagovintageunderground.com). Black-and-white checked floors, rockabilly music and rock & roll decor are the first things you’ll notice upon entering Broken Cherry. 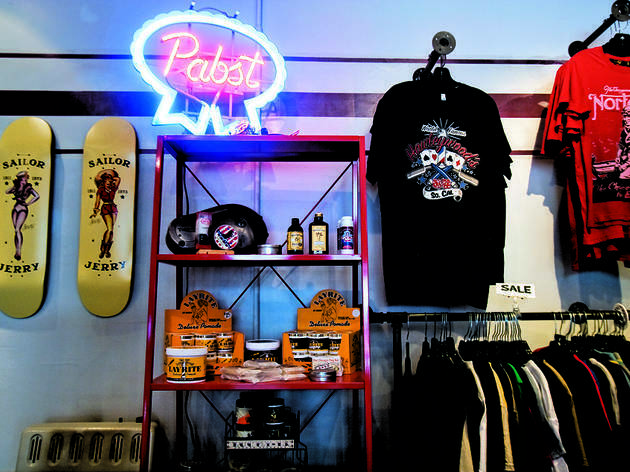 Where else would you find a skull and crossbones bib, an Amy Winehouse–tribute houndstooth sweater and an old pinball machine under one roof? And what’s a clothing and accessories shop without auto parts for sale? Pick up everything from exhaust parts to ignition covers. 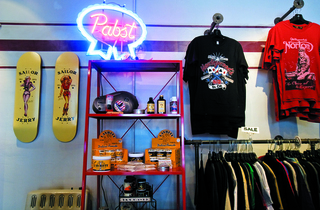 1734 W North Ave (773-278-4000, brokencherry.com). This part of town celebrates brains as much as it does beauty. 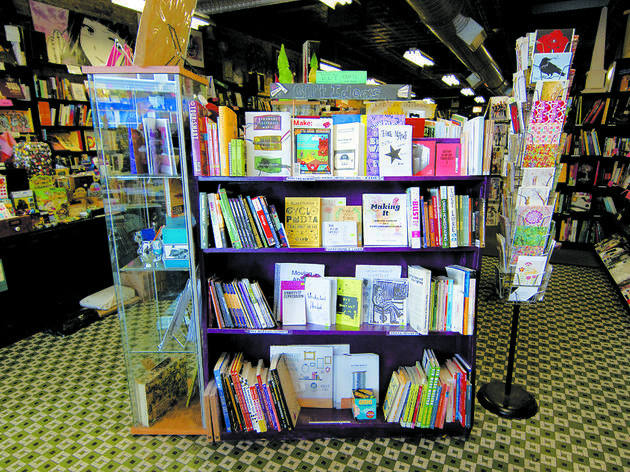 Art books, hard-to-find magazines, zines and miscellaneous art items fill the shelves at this indie bookstore. 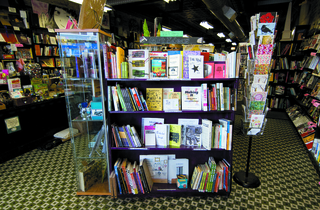 The 20-year-old establishment frequently hosts author readings and, occasionally, performances. 1854 W North Ave (773-342-0910, quimbys.com). 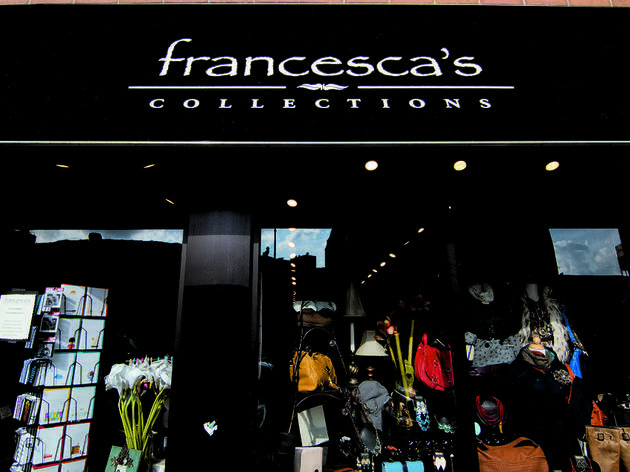 Bold prints, bright colors and a girly style are omnipresent at this womenswear and accessories boutique. It’s nothing if not trendy. For instance, check out the black and yellow chevron dress ($44), a cozy striped sweater ($38) and vintage-inspired accessories. Best of all, the prices are right. 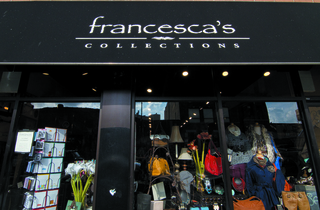 1920 W North Ave (773-486-0293, francescascollections.com). 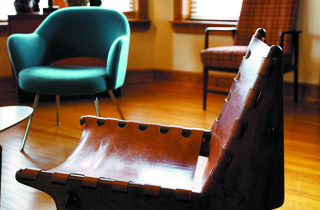 For years, vintage enthusiasts who weren’t willing to trek a block beyond their own neighborhood missed out on a stellar vintage furniture shopping opportunity on the South Side. 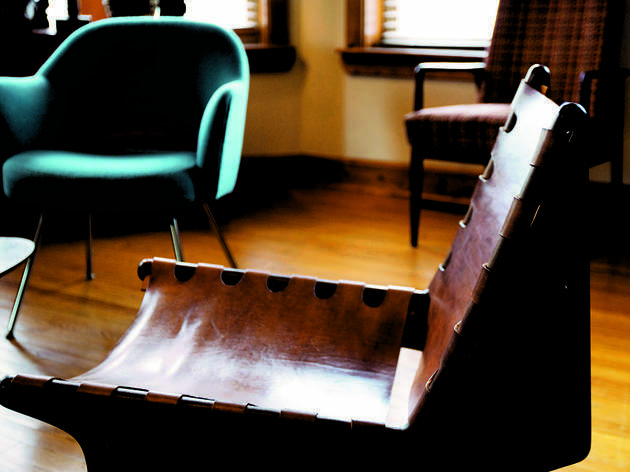 That’s no longer the case as owner Lynne McDaniel relocates to Wicker Park this week. From BRNO Mies van der Rohe for Knoll chairs to a blood-red Danish sofa shaped like a woman’s body, the selection is equally quirky and eclectic. 2418 W North Ave (312-450-9821, 773-664-3704, anorangemoon.com).